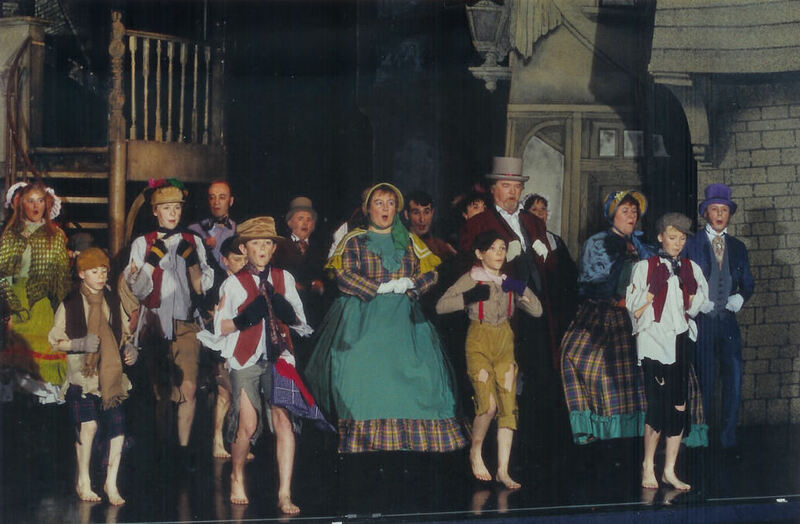 Book, music and lyrics by Lionel Bart 'freely adapted' from the novel 'Oliver Twist' by Charles Dickens. Mon-Sat 7:45 pm, Saturday Matinee 2:30 pm. Production Director - Jim Snell, Musical Director - Justin Thomas, Choreographer - Mollie Gilbert. Oliver! is undoubtedly one of the greatest musicals ever written. Bart's interpretation lightens the bleak picture Dickens painted of lower class life in Victorian England by adding cheery music and a good dose of cockney humour. 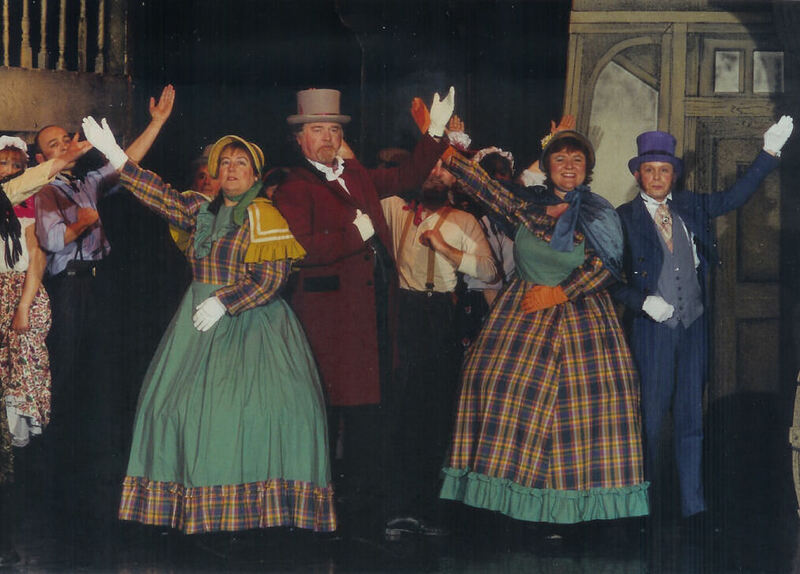 With a host of well known songs including 'Consider Yourself', 'You've got to pick a pocket or two', 'I'll do anything', 'Oom-Pah-Pah' and 'As long as he needs me'; this musical cannot fail to please a wide audience. 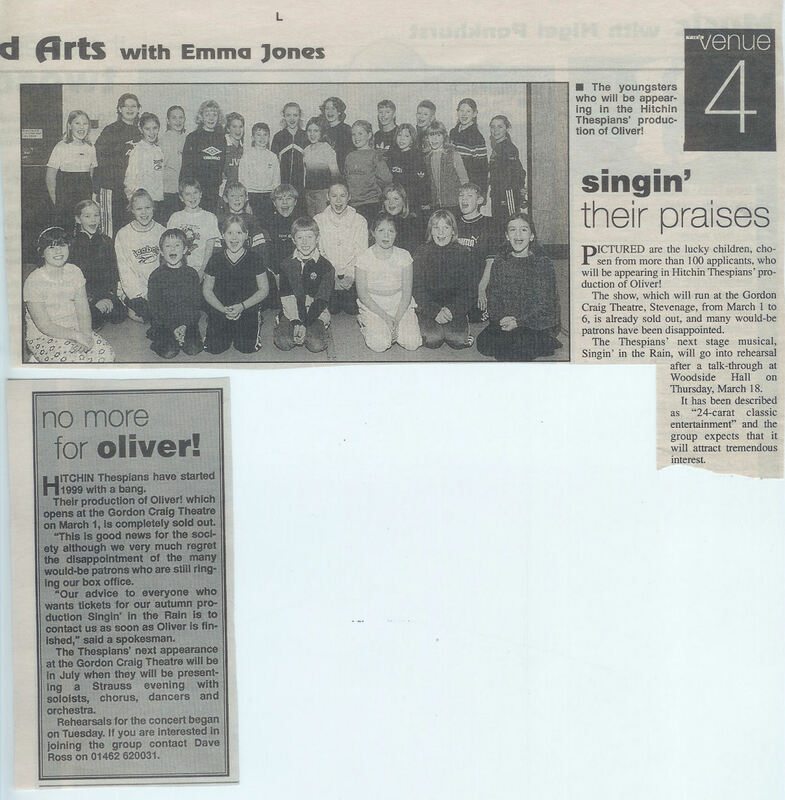 The astounding success of Oliver! Oliver! opened at the New London Theatre, London on 30 June 1960. With a run of 2618 performances, it held the longest running musical record until overtaken by Jesus Christ Superstar. On Broadway, it opened at the Imperial Theatre on 6 January 1963 and ran for 774 performances. Oliver! remained the longest-running British musical on Broadway until Evita surpassed it some 20 years later. 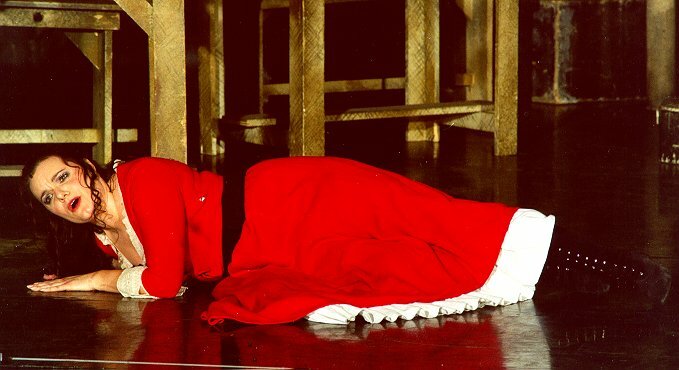 The most recent London revival opened on 8 December 1994 starring Jonathan Pryce as Fagin, Sally Dexter as Nancy and Miles Anderston as Bill Sikes. The show was directed by Sam Mendes and produced by Cameron Mackintosh. Notable also is the 1968 film version which won a total of 6 Oscars including Best Picture. 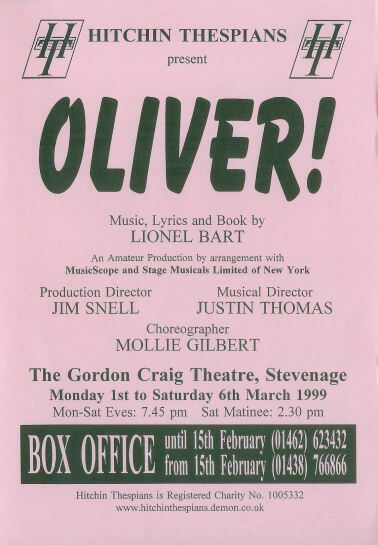 The Hitchin Thespians are pleased to be able to present this show by arrangement with MusicScope and Stage Musicals Limited of New York to play at the Gordon Craig Theatre, Stevenage from 1 to 6 March 1999. With Jim Snell as the producer, Justin Thomas as Musical Director and Mollie Gilbert in charge of choreography, we intend to continue the long success of this musical. Oliver! opens in a charity workhouse in Victorian London. The orphan boys, summoned for their daily ration of gruel, fantasise of the food they would like to be given. Only Oliver dares to ask the workhouse manager Mr Bumble, for more with the famous line "Please sir, I want some more". Oliver, excluded from the workhouse on account of his 'unacceptable' greed, is taken by Mr Bumble to be sold. After being hauled through the streets of London, he is finally bought by an undertaker. In the funeral parlour, he is teased by another apprentice about his longing for his mother. 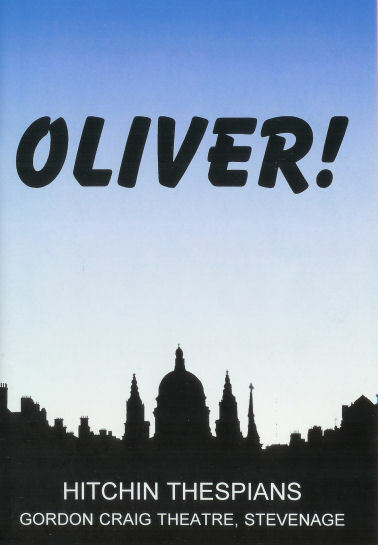 Oliver escapes and makes his way to London where he meets The Artful Dodger - always on the lookout for likely lads on behalf of his leader, Fagin. 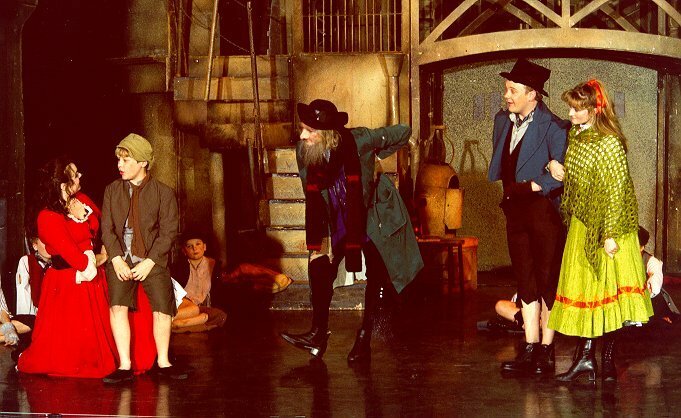 Oliver meets Fagin who tells him what he has to do to stay, "You've got to pick a pocket or two". Oliver is befriended by Nancy, girlfriend of the thief Bill Sikes. The next morning, Oliver is shown the ropes by The Artful Dodger, but he is caught at his first attempt of stealing and taken away by the police. When Oliver is let off by the judge, Mr Brownlow, who had earlier called him a thief, takes him to his home. Meanwhile, Nancy is entertaining the locals at the Three Cripples Public House. She stops as Sikes enters and learns of Oliver's capture. Concerned that Oliver might tell the police about his unorthodox activities, Sikes orders Nancy to find the boy. Nancy reluctantly does so, out of love of Sikes, but feels guilty about taking Oliver away from what could be a happy home. One morning, Oliver awakes to see a joyful scene of street vendors selling their wares. Later he goes out on an errand for Mr Brownlow to return some books, but on leaving the house, is taken by Sikes and Nancy and returned to Fagin's den, where he is threatened by Sikes. After the furore dies down, Fagin reflects upon his life as a villain and considers, then rejects, settling down to a normal life. Meanwhile, Mrs Bumble, the workhouse manager's wife, tries to make her fortune by revealing to Mr Brownlow a locket that belonged to Oliver's mother, his daughter, who ran away to bear an illegitimate child. Mr Brownlow is furious that she had it all along and made no attempt to seek Oliver's family. Nancy, already sorry for her part in capturing Oliver, offers to help Brownlow get Oliver back. In bringing Oliver to a rendezvous with him, she is killed by Sikes for her betrayal. Sikes takes Oliver back to Fagin's den but he is followed by Bow Street Runners who kill Sikes and reunite Oliver with his grandfather. All ends happily with Oliver returned to his family and Fagin setting off into the sunset. 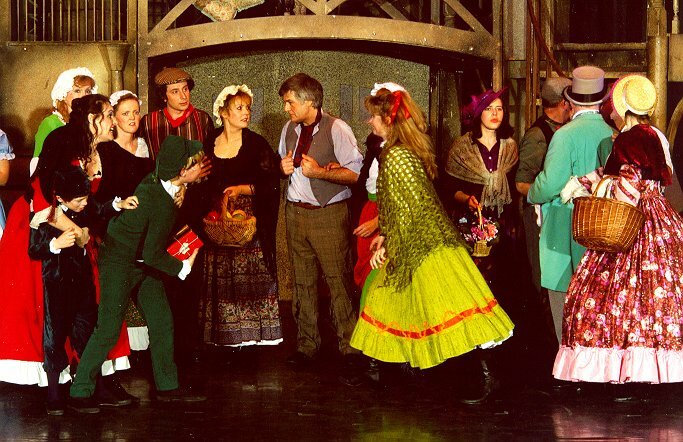 Oliver is introduced to Fagin, Nancy and the gang of boys. Oliver is introduced to pick pocketing. The locals enjoy a typical night at 'The Three Cripples'. Nancy after an encounter with Bill Sykes, sings 'As long as he needs me'. Oliver after being adopted, runs an errand. Bill Sykes snatches Oliver back to a life of crime. All the cast on stage for the curtain calls. 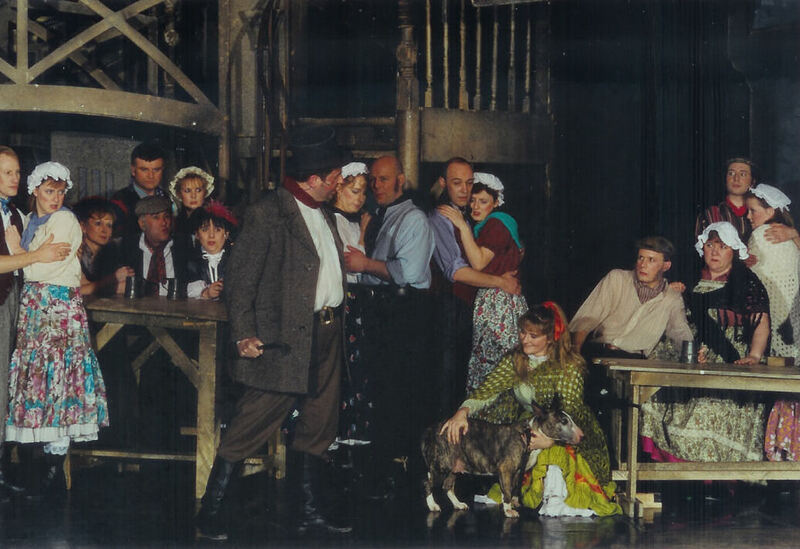 Backstage crew, the Producer, Musical Director join the cast on stage.